A Queen, a Boss, whichever you prefer, she is the one and only Jessica Jung! At first glance, JESSICA is a doe-eyed K-Pop star whose solo success has evolved significantly in her post-girl band era. (Yeah, she’s that JESSICA from Girls’ Generation, Korea’s most badass female pop group to date). She’s living proof that life after taking the world’s biggest stages can be just as—if not more—enriching in terms of career sustainability. JESSICA’s entrepreneurial spirit has made way for the success of her own retail brand, BLANC & ECLARE, which boasts merch in dozens of stores worldwide, a flagship brick-and-mortar coming to SoHo next month, and a ton of cool stuff in the pipeline. Then there’s her music—after 7 years of record-breaking tracks and global stardom, JESSICA branched out on her own, released her first EP, and has no plans of slowing down—in fact, word is (from JESSICA herself), there’s a second album on its way soon. Read on for the full interview and peep the slideshow above. I am a daughter, sister, friend, singer, actress, designer, curious, ambitious, always excited! So many know you from your time with Girls’ Generation, but now you’re branching out into retail with your brand, BLANC & ECLARE. How did you decide to make this kind of transition and how has it been so far? Unexpectedly, and in a way that was a bit out of my control, I found myself with the time and ability to focus 100% on developing my brand soon after launching. So in 2014, I delved head first into learning everything about designing eyewear, which is where we started. We’ve added categories since then (RTW, cosmetics, accessories) and I picked up a few projects too, including my first solo album and a few acting projects. It’s been a wild few years so the transition has been crazy but exciting the whole way. You can read the full interview of Jessica Jung from Milk here. 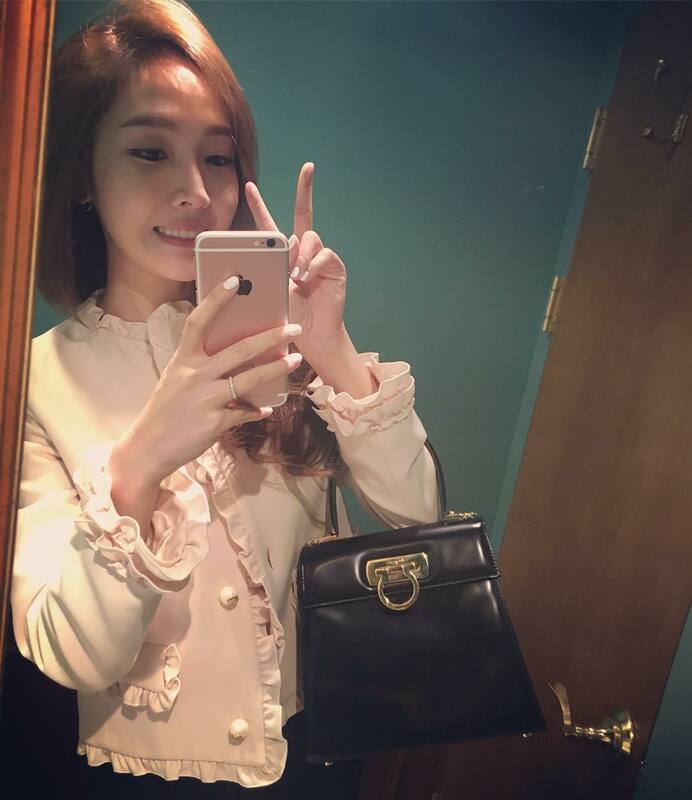 "Mirror selfie before dinner 😬✌🏻️"